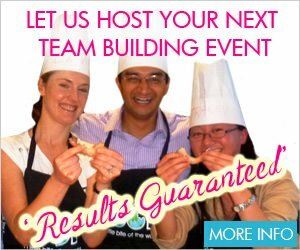 Are you looking for an Asian Cooking Class in Sydney? Look no further! VictorsFood offers a range of Asian cooking classes, including Indian, Chinese, Malaysian and includes recipes such as laksa, dumplings and noodles. A list of our current Asian cooking classes is below. You can also check our proposed classes and express your interest for future classes. We offer you easy-to-do Vietnamese recipes that are sure to impress. From making your own crispy spring rolls to amazing dipping sauces, Caramelised Fish with Galangal, and Pomelo, Crab and Squid Salad, you will be thrilled by the full, fresh flavours of Vietnamese food you will be able to create.